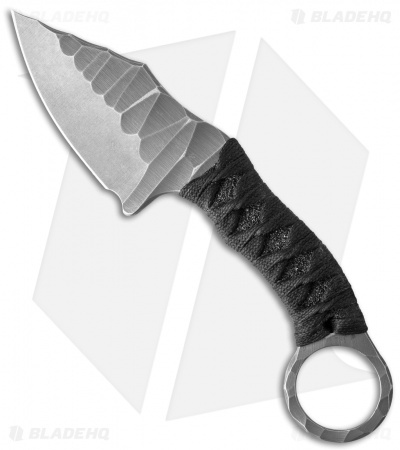 Made by Sebastijan Berenji, the Borka Blades SRambit fixed blade has a full-tang M390 steel blade with a black katana style wrapped handle with a karambit finger ring. The knife has carved faces and a dark stonewash finish. 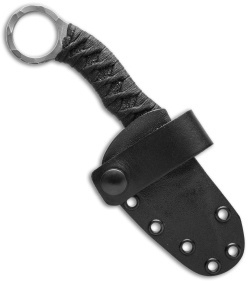 It comes with a Kydex sheath and leather belt loop. Pictures are of the actual knife for sale.